Black socks finished with lace in the same color. 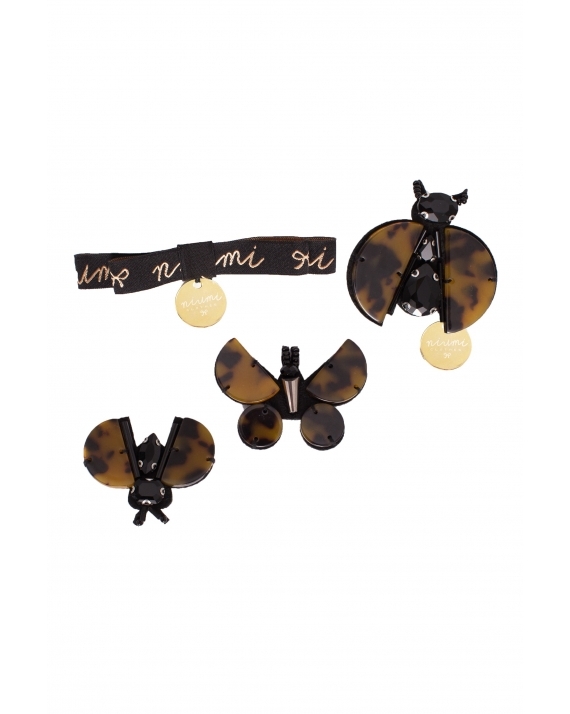 At the back there is a decoration in the form of Niumi Moments bows. One of them has a characteristic for Niumi silver medalion. 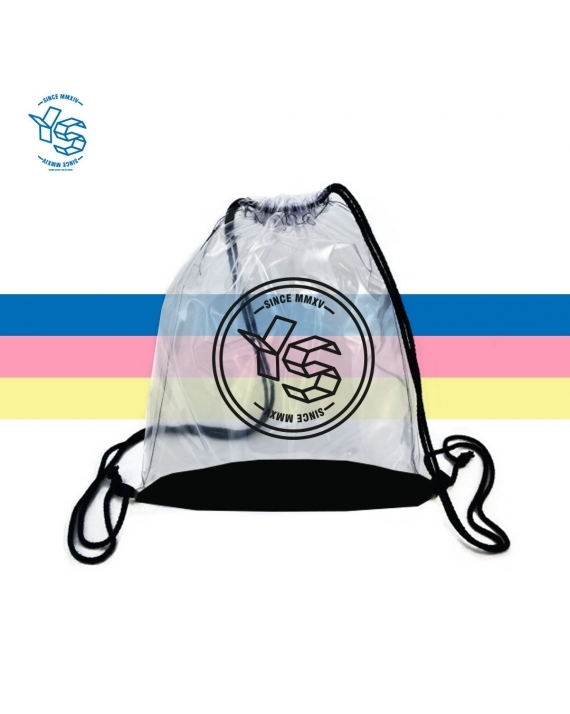 Transparent sack with printed YS logo finished with black elements.Material composition: 100% PL. 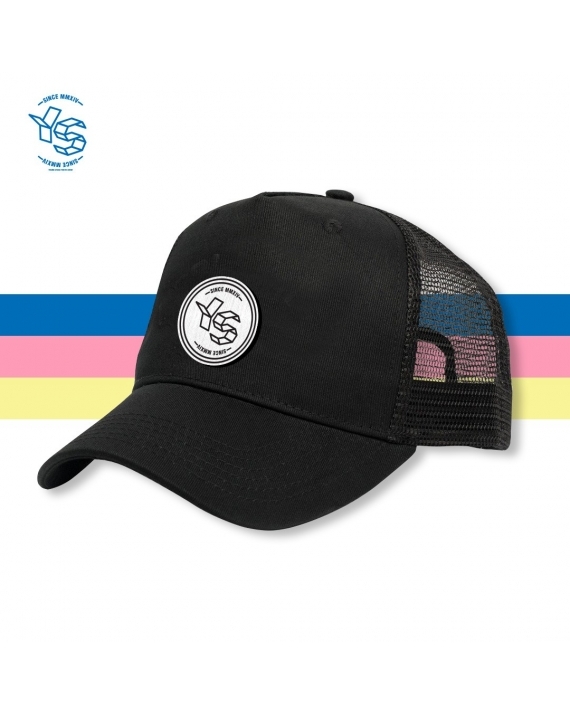 Cap with an embroidered white and black YS logo on the front. 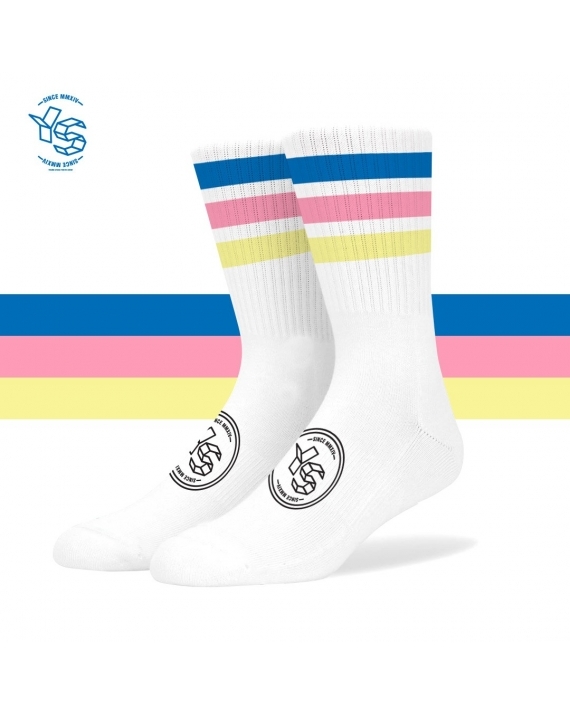 Cotton, white YS socks. 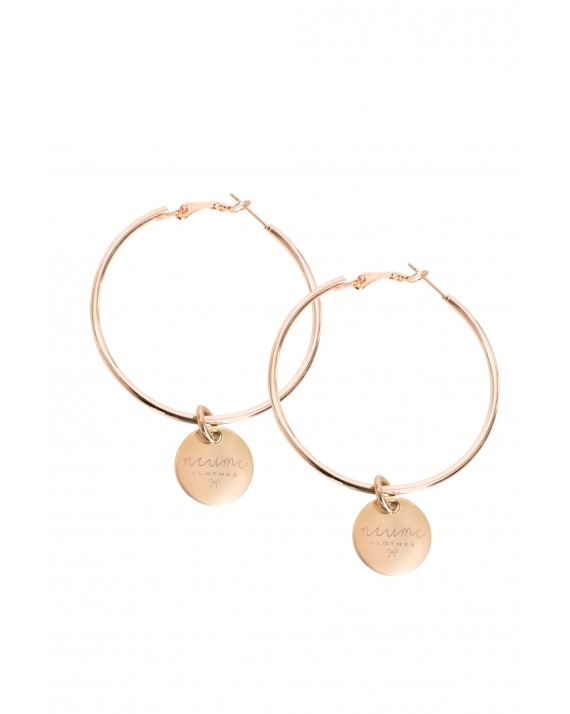 They have a black logo on the front and embroidered colorful stripes around the ankle.Material composition: 90% CO, 10% PL. 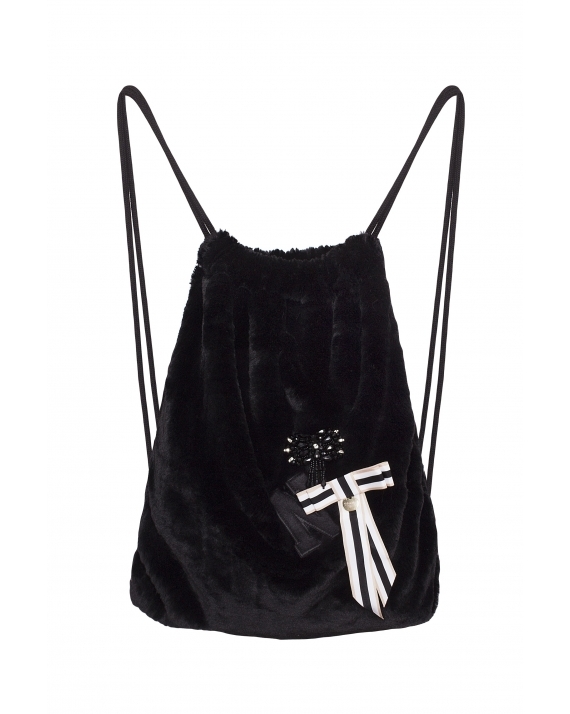 Black backpack made of fake fur with regulated cotton strings. 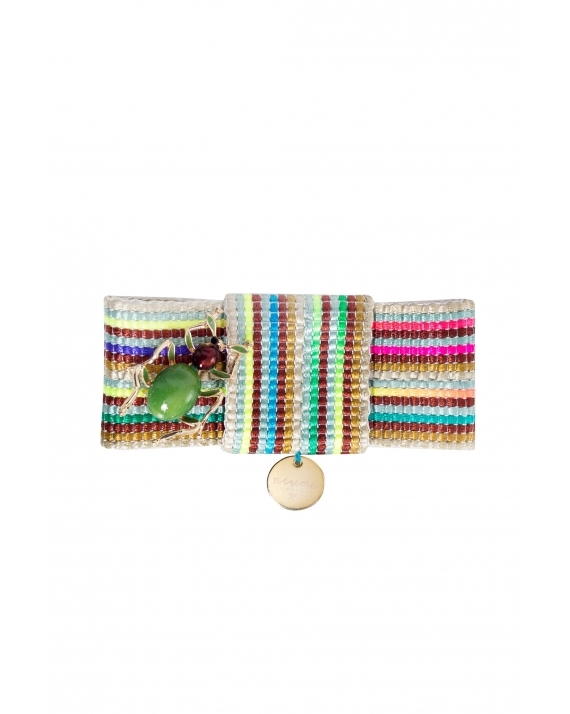 It has decorative elements at the front. Four unique pins from collection Be Expressive Fall/Winter 2018-2019. 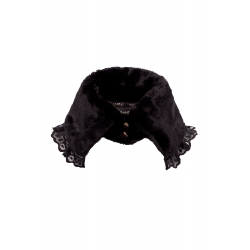 Collar made of black, fake fur. Finished with black lace, fastened with gold naps. Material composition: 100% PES. A colorful brooch with an engraved gold locket and a pin.